WordPress is arguably the best Content Management System there is. Pricing and overall product offering. 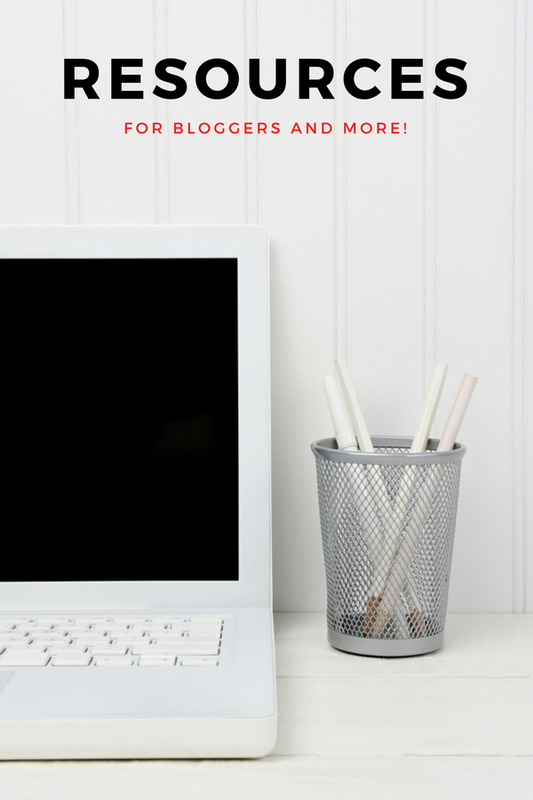 That said, finding a satisfying host on both 3 areas to start your blog is not easy. For that reason, I decided to create this list of the top 10 WordPress hosting for small businesses. Whether you are looking to build your company’s port folio, landing page, or eCommerce store, I’ve got you covered. After hours of research and compilation, I have shortlisted the best WordPress hosts that you can use right now. Started in 1996, Bluehost is a feature-rich web hosting service and are known for their reliable and affordable service. As of today, Bluehost manages over 3 millions domains and sites, and is one of the largest host in the world. Bluehost has a great reputation up their seeves as they are not only recommended by WordPress themselves, but also a bunch top dogs like Pat Flynn, Darren Rowse and Michael Hyatt. BlueHost doesn’t disappoint in terms of speed either, as Web Hosting Secret Revealed reported lightning response time at only 23 and 26 milliseconds from United States servers. So service is 100% perfect so while BlueHost is one of the most solid and affordable host you can find, something you need to know is that their renewal price after a year is up to $8.49 per month, instead of the original $3.45 per month. After the initial discounted price, you need to pay up to 90% of the initial BlueHost hosting price which can be a surprise to new bloggers. If you are new to the web hosting scene, this is actually a pretty common tactic in the hosting world where hosting companies like WebHostingHub, A2 Hosting, GreenGeeks, FatCow, Hostgator, iPage, InMotion Hosting and more, offer a cheap initial price to attract new users. If you are looking for reliability, great server performance at a good price then look no further than BlueHost. 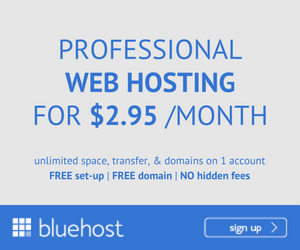 Note though that $3.45 is only their initial offer for shared hostings, BlueHost’s renewal rate is actually at $8.49 per month. ✓ The most recommended host by a bunch of influencers and even WordPress themselves. ✓ Solid server performance, great uptime score. ✓ Pretty punctual support. x The renewal rate is double their initial price ($8.49 per month compared to $3.45 per month). Known by many as some of the best best hosting in the industry, SiteGround a privately-owned company that mainly provides web hosting services for individuals and small businesses. They not only has an outstanding user-satisfaction rating, but also a detailed list of features and plans to fit your need at the most affordable price. There are never a shortage of praises when it comes to this web hosting service. I have multiple websites with them and will continue to grow with them as I develop enterprise-level websites. They are a fantastic company, with the best employees I can possibly imagine. According to Jerry from WHSR, their server performance is top notch with a solid 99% uptime history. In terms of speed, SiteGround doesn’t disappoint either with Bitcatcha recording their response time of 20 and 52 milliseconds milliseconds from United States servers. Considering SiteGround is currently hosting over 250k domains and manages over 1k servers across three different countries, they are a reliable solution for anyone looking to build a sustainable online presence and business. Although SiteGround is widely loved, they can be quite expensive for monthly users who won’t benefit from the initial, promotional price. Only yearly users can benefit from SiteGround’s promotional price. So if you prefer to pay monthly instead, the price can go up to $9.95 per month, which can be quite a lot in the long run. If you are looking for a solid host with great support then SiteGround is your perfect choice. To save up though, you’d much better pay annually for their service. ✓ Outstanding user satisfaction rating, almost all reviews of SiteGround are positive. ✓ Solid uptime score as reported by the majority of users. ✓ Fast and dedicated support. x Is only cheap if you pay annually, or else the price is up to $9.95 per month. iPage is the synonym of affordable hosting. Relaunched in 2009, iPage’s hosting service is owned by big brand the Endurance International Group (also the company behind BlueHost and many others). Now, iPage is serving over 1 million users worldwide. The best part about iPage is their amazing initial price of only $1.99 per month. But of course, iPage is not popular only because of their cheap. There must be a reason why they quickly beat the odds to rank top on most hosting review sites. Over several tests, iPage’s uptime scored a stable 99.9% on a regular basis. In short, you can trust iPage in terms of server reliability. Server uptime is not everything when it comes to a site’s performance though. There is another crucial factor that may cost over 30% of your valuable visitors if done incorrectly, site speed. Since Jerry from WHSR reported their iPage site speed using Bitcatcha of only 72 and 27 milliseconds from United States servers, iPage users can rest assured that their website will be delivered in time. Since iPage is a budget hosting company, it’s important to note that their support speed as well as performance is not always the best. In experience, I didn’t manage to reach a live chat assistant after over 10 minutes wait. That said, their message support is quite friendly, although it can take a day for them to get back to you. As the old adage goes, you get what you pay for. And iPage is not suitable for bulky or eCommerce sites. As far as a cheap host, iPage does a great job in providing you a neat hosting service with solid uptime. That said, they are not the best when it comes to support and performance, if you just want a quick landing page for your business, that’s okay but iPage isn’t great for handling more data heavy or eCommerce sites. ✓ Reliable host a great uptime score. ✓ Very good price for the service offered. x Slow support. x In my opinion, iPage’s user interface is rather old-school. Arvixe is founded in the US, in 2003 and offers a wide range of services from shared to dedicated hosting. With an iron-clad 99.9% site uptime guarantee, Arvixe offers refund if the guarantee is broken on any given month. This allows you relative ease in terms of their up-time score. Arvixe also has a 100% uptime guarantee for dedicated servers with a pro-rate refund for any downtime. Another great part about Arvixe’s service is that blog is very active and provides readers with regular ‘how to’ articles as well as other bits and pieces of information. Something you need to know about Arvixe though, during the recent year, Arvixe has been reported to run rather slowly with significant down time overall. Also, the support team has been slow to resolve issues and answer feedbacks. Arvixe still makes this list for the best WordPress hosting for their tiny price, great performance and unlimited space and traffic package. Arvixe is some of the cheaper choices at only $4 per month, that offers a hosting experience. While I don’t recommend you host your entire business website here, Arvixe can be a great for a side blog or test run. ✓ Reliable and solid host with a 99.9% site uptime guarantee (with refund). ✓ Great price-to-value offer. x Their support is quite slow and not very helpful. InMotion Hosting was founded in 2001, and over the decade, they’ve grown to powering over 500k sites worldwide. InMotion Hosting offers a broad range of services, from shared hosting hosting plans to VPS through to dedicated hosting. InMotion Hosting pride themselves providing a first-class service from a well-trained staff without cutting corners on support. True to their words, InMotion Hosting offers quick and personalized help that never ceases to amaze their users. Especially when most hosts lack in the support area, InMotion Hosting really stood out with their service. Over and over, InMotion Hosting is praised for their patient yet punctual support and great uptime score. There is few bad things you can think about when it comes to this host. If you are looking for a fully reliable host then InMotion Hosting is a great choice. ✓ Solid and reliable host with a 99.9% site uptime guarantee. ✓ Fast and helpful support. x Nothing major. DreamHost is known as a low-cost shared web hosting and domains, but also offer VPS and dedicated services. They are extremely well praised for their quick support, with both 24/7 Live Chat and email. You can expect them to get back to your within a few hours via email, which is a rarity in the web hosting world. And unlike any other services, DreamHost boldly offers a 100% uptime guarantee across all shared, VPS and dedicated hosting. Should a fault at DreamHost cause your website, database, email, FTP, SSH or webmail to go down, you’ll be credited with one free day’s hosting for every hour of downtime. The amount of downtime is calculated from the moment you open a support ticket, so it pays to be proactive. In terms of billing and package selection, DreamHost doesn’t disappoint with their various options. They provide a standard monthly billing, annual billing and a 2 year billing. The only thing you need to note when it comes to DreamHost is that, if you are looking for a common user interface like Cpanel or Plesk, you may be taken aback because they don’t have neither. Instead, they offer a custom control panel which was created entirely in-house. For those looking for a satisfying hosting service with dedicated support and a solid uptime guarantee, then DreamHost might just be what you are looking for. ✓ A 100% uptime guarantee (with refund). ✓ Quick and helpful support. x cPanel is not available, DreamHost has designed their own control panel. Founded in 2001, A2 Hosting is known for providing hosting services “by developers, for developers”. A2 Hosting proudly claims that all their servers are privately owned, and only their own technical team are allowed to access, to increase security precautions. A2 Hosting also offers monthly payment options, although their monthly hosting fee goes up to $10.59 per month, instead of only $ 3.92 per month, if you opt for yearly payments (as with all web hosts, the price drops if you choose yearly billing cycles). A2 Hosting has been praised by many for their good uptime history and timely 24/7 technical support. This means you don’t have to outsource backup services, or purchase as an additional option, saving your budget for other tasks. It’s very hard to find a bad review for A2 Hosting. But on thing that considers a setback to A2 Hosting is that unlike most other hosts, they don’t offer a free domain names for their users. This means you will have to separately purchase a domain name before setting up your host. A2 Hosting is known to have loading speed and stability, and free data backups, although they don’t offer free domain names. ✓ Great loading speed and solid server performance. ✓ Free access to Server Rewind. ✓ Punctual support. x No free domain name. GreenGeeks is an USA recognized Green Power partner whose goal is to become the best green energy web hosting company in the industry. While their hosting price of $9.95 per month is considered a pretty expensive (BlueHost can be as low as $3), but the perk is GreenGeeks does offer monthly billing payments instead of yearly like most other cheaper hosts. GreenGeeks claims up to 99.9% uptime guarantee, which is as good as it’s gonna get. So if you like green energy and good service, you may want to give GreenGeek a try. That said, no services comes without some complaints and GreenGeek is no exception. Although they are known for having a dedicated support team, it may take a while to get to them via live chat or email. Although GreenGeeks provides 24/7/365 live chat and email support, it was known to take up to 2 days to get back by mail. So for businesses who needs quick support for their new site, this can be a pretty huge draw-back. If you are a pro-green and wants a trustworthy host to handle your blog, then GreenGeeks is your solution. That said, their support can be quite slow to resolve your inquiries. ✓ It’s a USA recognized Green Power partner, a great choice for pro-green users. ✓ A solid host with up to 99% uptime guarantee. ✓ Offers monthly payment methods. x It’s quite pricey compared to other hosts at $10 per month. x It may take time for you to hear back from their support team. Powering over 200k websites worldwide, FatCow is an affordable hosting, focusing on shared hosting. FatCow mainly appeals to businesses and bloggers who are looking for something that’s easy to use with their simple hosting services, eliminating the need to fiddle with technical stuffs. While FatCow doesn’t give any uptime guarantees, their data centre combines round the clock systems management and each server is clustered with another, this means if one goes down, another takes over. If you want your site to be backed up automatically via FatCow’s hosting, you can purchase a backup package which gives you daily backups and a backup and restore tool. Otherwise, you’ll have to perform your own backups. Something you need to know about FatCow thought, is that their renewal price doubles over the years. While you can start using FatCow for only $3.15 per month, their renewal price after the first payment is almost $9 per month, which can turn off long time users. FatCow is one of the better shared web hosting companies in terms of performance and cost. While they have an awesome starting price though, their renewal rate is relatively higher and can be a huge turnoff to long time users. ✓ Cheap initial price of only $4 per month. ✓ Simple to use and ideal for beginners. x High renewal price. Powering over 950k websites worldwide, HostGator is one of the biggest brands in the web hosting industry. And among their users includes high-profile brands like from Cisco to AT&T to Dell, just to name a few. HostGator boasts a wide range of features and a good uptime to help you make the most out of your site. There are a great choice when it comes to reliability. Unlike most of their peers, HostGator offers a monthly billing plan of $10.59 per month. The best part is that all HostGator accounts are backed up on a weekly basis. In case you need to restore a backup, HostGator only costs $15. But the service will be free of charge if you can provide the backup files yourself. Though a large customer base means a load to the customer support service. HostGator has been reported to give users an extensive wait time to get to their support be it via phone or email. This means that for new businesses who needed quick support to setup their account, HostGator can become a pain in the arse as their wait time can be tedious. If you are looking want a trustworthy host then HostGator is what you are looking for. However beware that their support is not the fastest or most punctual. ✓ Trustworthy and experienced host that powers a bunch of big brands like Dell. ✓ Solid uptime score. x It takes a while to reach support be it via phone or live chat. Considering how the web hosting market is more than saturated, finding your perfect host is never an easy task. I hope this list helped you find the perfect WordPress host for your needs. While crafting this post, I’ve taken into various small business needs and how much you are willing to spend on a web hosting service. Do keep in mind that there’s no such thing as a perfect product, each web hosts are designed to suit the need of different users. I have added hosts that are for budget oriented as well as hosts designed for experienced users. Different blogs have different needs. When you are choosing a web hosting provider, remember that what you want is to pick up the web host that suits your needs. It’s not about finding the best web host in the world; rather, it’s about finding the RIGHT web host. Which other host would you add to this list? Bloggingthing is hosted at Wealthy Affiliate an all-in-one solution for online marketers. The only reason I didn’t mention Wealthy Affiliate in this list is because it’s more than a web host. I’m loving their service so far for their efficient support and it’s a pretty great solution for those looking to build an online business. Wealthy Affiliate offers a pre-installed WordPress optimized host, supports are handled via tickets and only takes less than one minute for a reply. Ready to start your blog? Check out my recommended resources. All these hosting platforms are all good. But my favourite is SiteGround. I am currently using SiteGround to host my WordPress site and it’s really cool. I had a bad encounter with Hostgator. I signed up with them but couldn’t verify my account. They had to refund me my money. I have a trouble in finding a host for my blog. 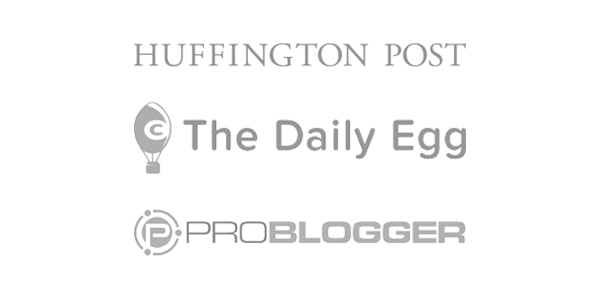 This is really wonderful blog which I can find almost everything to help a new blogger. I’m glad to hear, Vincent! Thanks for posting this interesting post. I use BlueHost and like their hosting service very much. But now only I seem to know that this much WordPress hosting services we have it with this much cost effectiveness and advance features. I like the comparison features table. After reading this blog only, I seem to know this much hosting company, though they are not popular in internet world I like their dedicated services. And most of the cost of these hosting providing companies are also very less expensive. But before selecting it, I need to research a lot about their quality and server management timing. Thanks for your great listing of sites with cost details. Thank you! For sharing this incredible post with us. Hello Anh. Do you have experience with http://www.rosehosting.com ? A friend of mine recommended this company to me and he says that their support is one of the best out there. I did my own research and there are many positive reviews about their services. Hey Darren, this is the first time I heard of Rose Hosting. I’ve just gave it a check and it seems like a good provider with nice ratings and as you’ve said, positive reviews. I think the good thing of less popular hosting companies is that their support may be less crowded and more dedicated. I’d say if you’re curious, it’s worth a try, especially if you plan to go for a shared hosting which only cost less than $5. I have a website hosted by BlueHost, and I would have to say I have had good and bad service from them. They are so popular that the wait time for chat is quite long, up to an hour one time for me. I have had 4 chats with them to try and solve problems and they could only help me with one, so as a newbie to the website world, I was stuck and didn’t now what to do. Now I am with Wealthy Affiliate with my new website I couldn’t be happier. Thanks for your informative comparison of other hosting sites. Di, I understand what you mean. When I had to wait quite a while for BlueHost’s support also. It’s definitively a downfall when you are a newbie and needing help to setup your account. That said, they offered a great price for the quality of service offered. Thanks for sharing and I wish you the best with your endeavours! Bluehost is the most reliable and recommended by many top bloggers and seems like the best shared hosting to start a blog. iPage don’t deserve in this list because their quality and server up time is really bad, I would not suggest them to anyone. Nikhil, thanks for sharing your views! I agree that compared to BlueHost, iPage’s performance is inferior. That said, if you are looking to build a small site then iPage is a good and affordable solution. Just don’t expect too much on bulking too much data there. I was using Hostgator until some months ago. I totally agree with you. I was very unhappy with their support. Two times my website was down for hours before the manage to fix the problem. To be honest, the first time it was my mistake. Anyway, except from these problem it was fine. The last months I’m a member of WA so hosting isn’t a problem anymore. I have gone through your list of different hosts and I love the way you have analysed all of them. In some of them, there are premium hidden charges that is not wallet friendly. This leaves us with the most reliable Wealthy Affiliate that provides very minimal/affordable premium membership fee. WA has a very reliable community and site support which makes it exceptional from those other hosts in the list. I enjoyed reading your informative blog. Paul, as someone who uses Wealthy Affiliate hosting, it’s definitively an enjoyable experience. As mentioned, the only reason I didn’t mention it is because is much more than a host but an all-in-one solution for online marketers, which in the end, would still be more affordable than a membership at WA. I found your post quite helpful, but it did highlight a sneaky question in my own mind that has been lurking about, not really knowing how to verbalise itself! 😀 Would you be able to explain the main differences between self-hosting your own blog or paying for a hosting service? In other words: what are the security risks, “down time” risks, ownership of content risks and such? Thanks! Hey there, Claire. Self-hosting basically means paying/ renting for a hosting service, unless you fancy buying your own physical servers. On the other hand, the other option is to use blogging tools like Blogger, WordPress.com, or Tumblr. As you host on the internet, there is always a security risk, down-time and content copyright infringement. But if you find a good host, these issues will be minimized. Bluehost is no-doubt great web hosing most important about this hosting, it comes with huge features and flexibility. Bluehost has a better reputation and people are more likely to buy it. It also has a better quality and better servers, and the website is more visually appealing. Web hosting is a very competitive industry and there are many companies willing to pay lots of money to acquire customers. You have shown amazing names of hosting services and they are really great for small businesses to boost productivity level. When launching a website, one of the most important decisions that we have to make is selecting a good web hosting company for hosting a website, for which we have worked hard to design and develop. Eventually, thanks for exploring these amazing services. Aww, thanks Amar for the kind words. 🙂 Yes, the web hosting industry is pretty fierce, just look at the amount of discounts you see at every corner! First time visiting your blog and finding it useful! Well, getting best hosting for our money sites are really a headache. You gathered awesome list here and this list can help us a lot in buying an awesome hosting for our money sites. Welcome, Abdul. 😉 Yes, finding a compatible hosting is not always easy, I’m so glad you found my post helpful! Thanks for sharing this amazing list of hosting sites. I got some new names through your post. They are all owned by EIG. However, I do agree with some of them. But, I believe InMotion should be higher up on the list. I have been using them for 8+ years. Also, A2 Hosting I believe should be higher up on the list too. Their performance is amazing. I was wondering what do you think the best managed WordPress hosting company is? Hey Garen, yes, I am aware that a lot of major hosts are owned by EIG. InMotion and A2 Hosting are great hosts, certainly, I had a hard time figuring out how to list them so this list is really not in a rating order. I would have to agree that Wealthy Affiliate does have excellent managed WordPress hosting. The support is amazing! I decided to enter through Wealthy Affiliate’s doors to learn blogging from the basics through to success as I didn’t have a clue regarding the benefits of the different types of hosting services you mention here as I was a complete newbie. I started off with one of their free SiteRubix websites and soon got the grasp of building my own website, creating all the features professional websites have then decided to purchase my own dot com. Wealthy Affiliate host your own websites too and I transferred their freebie into my own domain which really was a seamless service. Everything ran through without a hitch, looking identical to what I had transferred from. I am happy with their costs of running the hosting as they are very fair regarding price but I require the training just as much as the hosting. Thanks for all your reviews here – Superb. Hey Simon, I also host on Wealthy Affiliate or SiteRubix. 🙂 I’m loving their services so far, very prompt support and great server performance. Glad to hear you are enjoying it as well! I believe that it doesn’t really matter which hosting company you opt for. When it comes to having a WordPress website or blog, it’s essential to have a ‘reliable’ service. You want 100 percent ‘up-time’ because there’s nothing worse than annoying your visitors with a ‘blank screen’. When it comes to choose best WordPress hosting for a self hosted blog, BlueHost is always my one and only choice. I not only like their hosting plans but also their cPanel which is really easy to operate and user friendly. Also the one click WordPress feature is really great. I also appreciate the list you have shared, newbie bloggers can choose from the list.